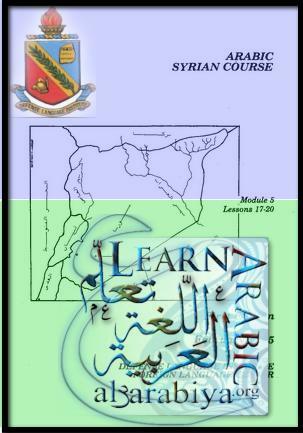 The Defense Language Institute’s basic course for the Syrian dialect of Arabic. If you work through it, you’ll get a firm grip on the fundamentals of this dialect. Despite it’s name, however, it is not for the total newbie. Syrian dialect is taught by contrasting it to MSA, so a basic command and understanding of MSA grammar is essential. It also uses the Arabic script from the start, no transliterations. The PDFs are legible, but not outstanding – therefore you’d better be sure of your Arabic alphabet.